Torrevieja, September 7, 2018. The Hospital Quirónsalud Torrevieja launches a new edition of the free campaign for early diagnosis of prostate cancer on the occasion of the world day of this pathology, which is celebrated on September 15. The initiative consists of carrying out free PSA tests and consultation with the urologist with prior appointment requests to males from the general population and patients from the hospital center aged 45 and over, and from 40 years if they have a family history. Thanks to the PSA, which is measured in a simple blood test, the specialist can establish the value of this protein synthesized by the prostate, whose value increases in the presence of a tumor. As explained by Dr. Sven Petry, head of the Urology Unit at Hospital Quirónsalud Torrevieja. “The fact that the tumor cells produce it in greater quantity can determine in which people it is more probable to find this type of cells and decide to investigate or not the presence of these cells, by means of a prostate biopsy, depending on the potential benefits and risks that may derive from their diagnosis and treatment. ” PSA levels increase with age, so that men without prostate cancer will have higher PSA values as they get older: “If at forty-five years old we consider a normal index a value of less than 1.5, until sixty-five years old this index of normality moves to 2.5 and so on,” explains the specialist. It is not necessary to go on an empty stomach and it will be performed at Hospital Quirónsalud Torrevieja. The analytical period will be from September 10 to 14and interested persons may request information from Friday, September 7 from Monday to Friday from 10 am to 2 pm. 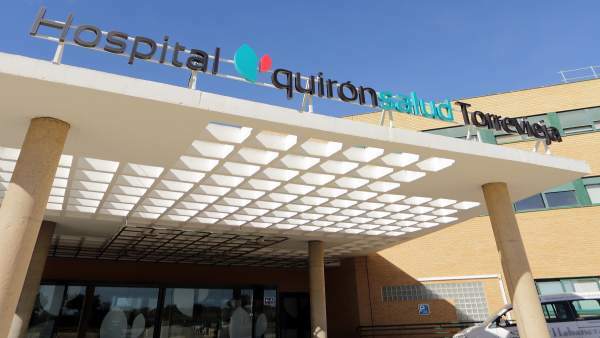 Calls will be made through telephone 966 90 95 06, in the email prevencion.trv@quironsalud.es or through the web http://www.quironsalud.es/torrevieja/es.